I was rather dubious when I heard Biba was to be relaunched yet again. As an iconic brand created by the true original, Barbara Hulanicki, it seems to have been relaunched more times than the Sugababes have metamorphasised. You honestly want to say let the Biba brand alone and just give it up and let it lie forgodssakes. So I was pleasantly surprised and rather amazed at the cohesiveness of this new House of Fraser collection. It may not shine with the magnificence of Hulanicki and her vampish feminine vision but more power to the lead designer and her team at House of Fraser, as they’ve managed to get the balance of 1930’s vintage inspired pieces combined with ’70’s chic luxe. Satin, soft velvets, feathers and chiffon are featured with beading and embroidery. More often, the simpler pieces are the best, namely the scoop back column dress in black velvet (pictured above). The price points are varied and this collection goes up to £395 so it’s not an easy ‘pick it up and throw away’ seasonal piece. These are items to be added to your wardrobe and to become focal points. The Biba range is presented as a comprehensive collection of womenswear and accessories, routed in decadence and glamour that echoes the era of the 1930s with the flamboyance of the 1970s. Biba 2010 has evolved into a modern contemporary collection of dresses, tops, denim and evening wear with a renewed sense of sophistication. There’s even a collection of stunning statement maxi dresses. Each maxi dress style features a unique print set against dark silk chiffons and Lurex jersey combinations. The ultimate limited edition piece to complement the collection is a full-length leopard print coat, which takes its inspiration from the original, outlandish Biba style of the 1970s. 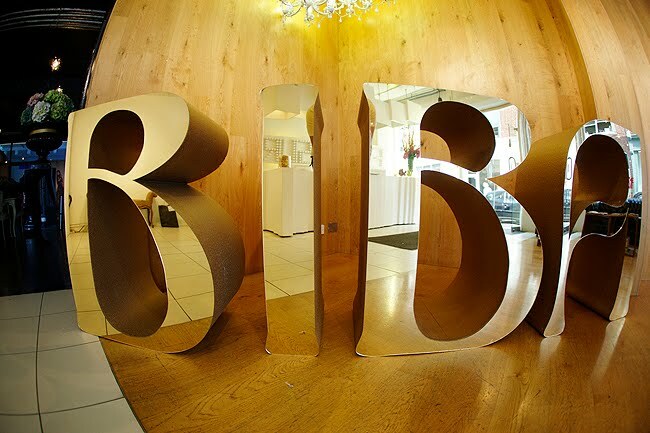 It’s worth checking out, but would you pay £300 for a newly evolved Biba piece? Let’s see. The collection will be exclusive to House of Fraser and available in 35 stores nationwide. There will be 10 Biba boutiques in the following locations: Belfast, Birmingham, Cardiff, Dublin (Dundrum Shopping Centre), Glasgow, Edinburgh (Jenner’s), Manchester, Sheffield (Meadowhall Shopping Centre), London Oxford Street, London Westfield. All launched on 9th September 2010. Let me know what you think about the new Biba collection. Please leave a comment in the box below. Thank you. Previous post: New York, New York – Halston, Marc and Donna.